A few days ago, my younger brother was confined and advised to stay at the hospital for the weekend. 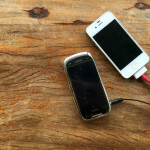 I knew that it was a perfect opportunity for me to treat the family with something special. 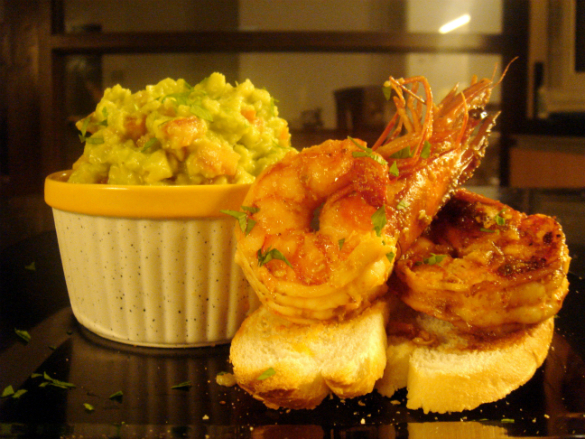 I decided to prepare Shrimp Scampi with Guacamole on toasted slices of Baguettes. 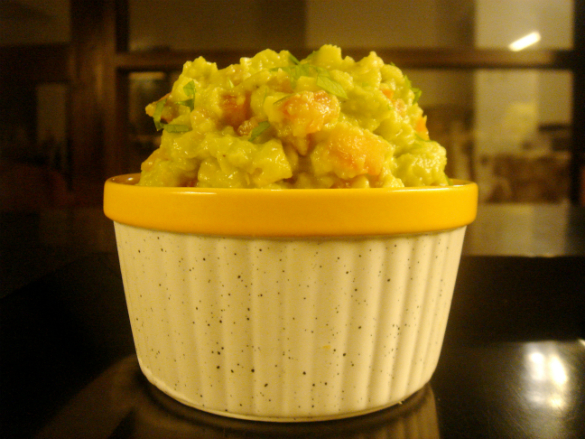 I originally wanted to make another shrimp dish; but, I remembered how chefs would always say that shrimps and avocados make a good combination. Interestingly, God taught me two important lessons when I made this dish. God gives us everything we need in His perfect time for His good purposes in our lives. 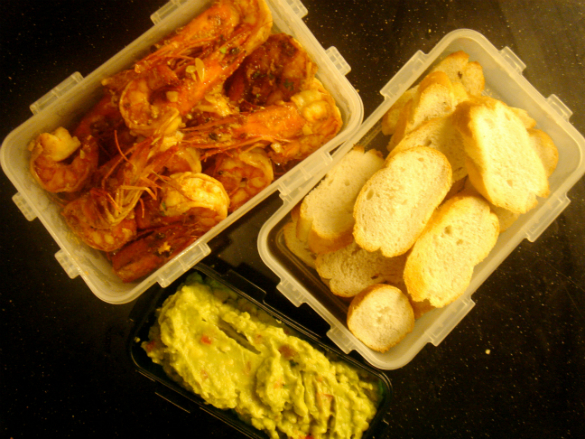 After getting the shrimps, I decided to pass by the avocados again. Would you believe it? Hidden underneath the vegetables beside the green avocados were 3 packs of purple, ripe, Hass Avocados! I couldn’t believe my eyes! “Wow, Lord! 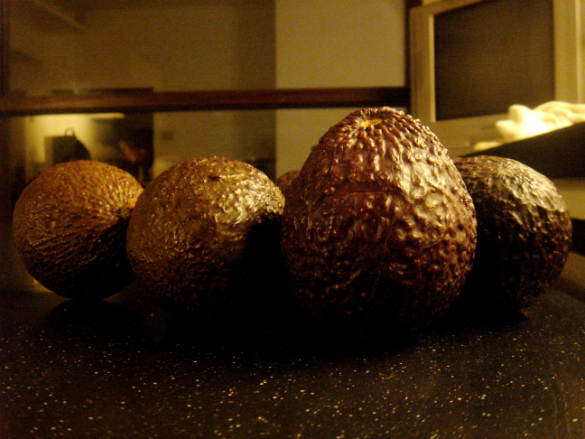 Those ripe avocados weren’t here a while ago. Thank You so much!” I immediately grabbed the avocados and paid for my groceries. 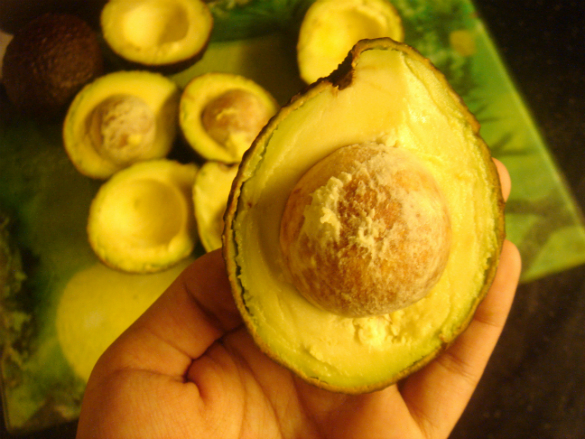 The wonderful thing about the hidden, ripe avocados that God gave me was that they were Hass/Haas avocados (the best type to be used for the guacamole recipe that I had). It was really encouraging to be reminded by God that He will continue to provide for our needs and give us what is best for us according to His will. 2. 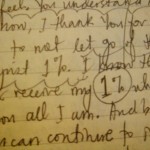 How God sees us, rather than how we/others view ourselves, is the only thing that matters. 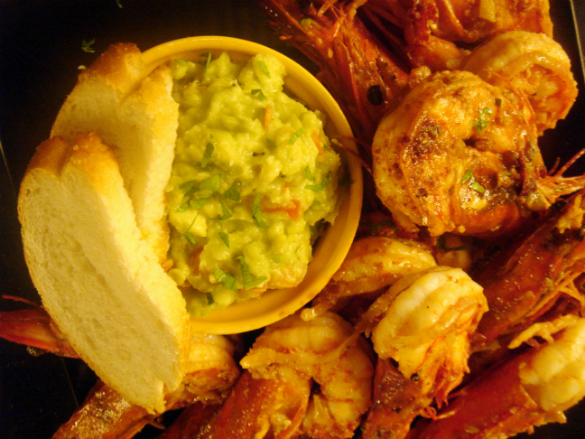 After making the guacamole, I prepared the other ingredients for the shrimp scampi. 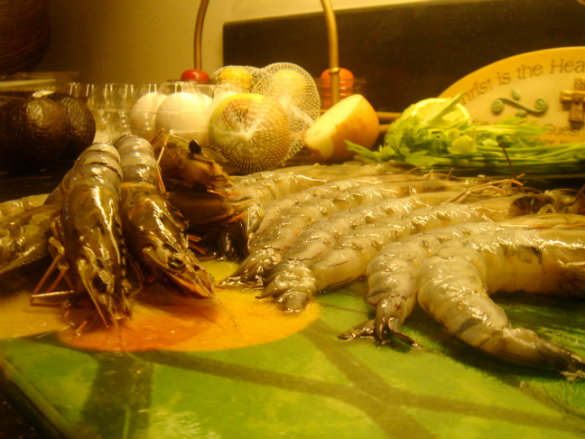 I noticed that some of the chefs recommend removing the heads of the shrimps before cooking so that they would look more presentable. 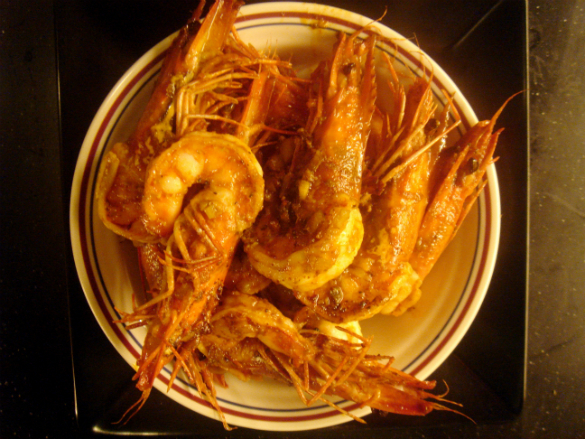 Before I cooked the shrimps, I was torn between removing their heads and keeping them intact. “Is the head of a shrimp really that undesirable?” I asked myself. I then remembered instances before when people would use the term “Shrimp” to describe a person who has a great body, but has an ugly face. I thought about it more and decided NOT to remove the heads, because I remembered my mom who always used the heads of the shrimps to enhance the flavor of the dish. I knew that there was something in the shrimp’s head that was useful, despite its “ugliness”. 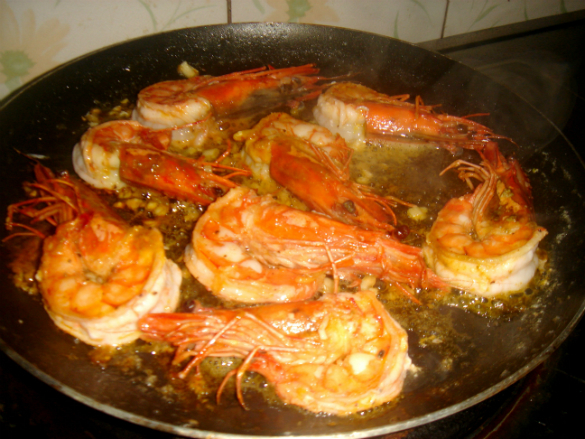 True enough, while I was cooking the shrimps with butter and garlic, I saw some of its juices flow out of their heads. “Thank You, Lord, that I didn’t throw the heads away.” I whispered to God as I took a sip of the delicious sauce of the shrimp scampi. 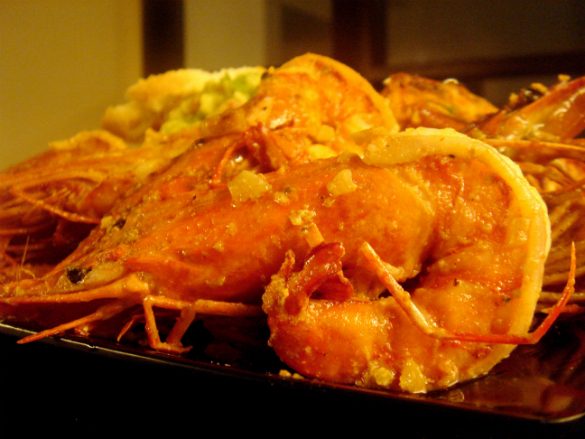 After taking photos and preparing the dish, I suddenly remembered an interesting trivia about shrimps that I read a few weeks ago. 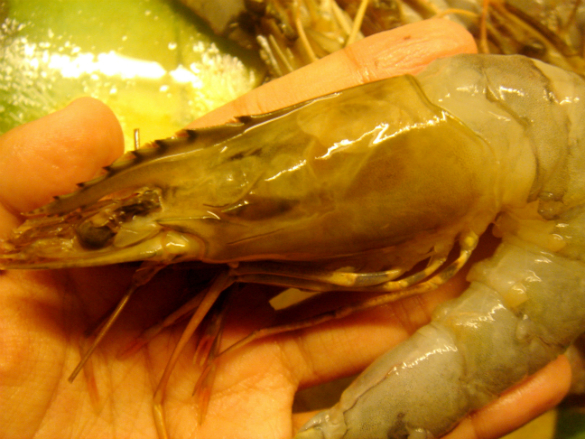 Did you know that a shrimp’s heart is located in its head? * “Hahaha! What a funny trivia, Lord!” I told God. But, amusingly, He used that fact to speak to my heart. God purposely placed the heart of a shrimp in its head. And it’s amazing because although the head of a shrimp is perceived by others to be useless, not presentable, and undesirable; it actually contains the very thing that gives the animal the ability to live: its heart. 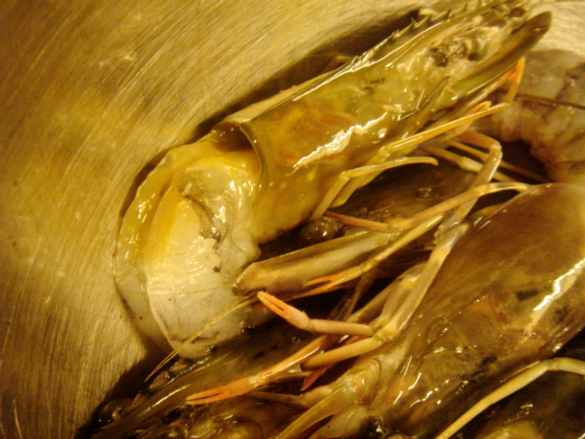 Moreover, the head contains certain elements that produce more ‘shrimp flavor’. In the same way, I am reminded me that God created me for a special purpose and He made me the way I am according to His good will. Moreover, He encouraged me to focus on what’s more valuable to Him (my heart and how I see myself and others through His eyes) than on the opinions and expectations of the people around me. It’s All About Me, Right?